Entwined with the Baltic's bays, inlets and islands, Helsinki's boulevards and backstreets overflow with magnificent architecture, intriguing drinking and dining venues and ground-breaking design. 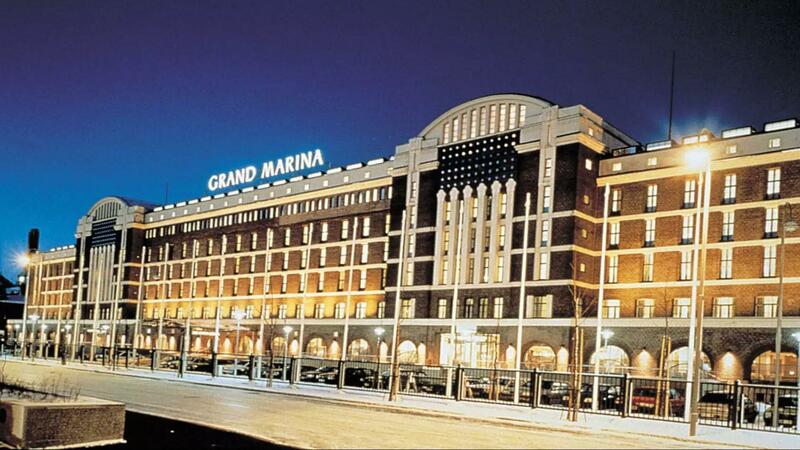 Our host hotel, the Scandic Grand Marina is located in a beautiful warehouse building from the early 1900s. Large arched windows and high ceilings create a light and airy welcome in the lobby, restaurant, and bar and a peaceful atmosphere throughout. The adjacent Marina Congress Center offers flexible functions space for up to 2,500 people. Our TMS meeting room has natural light with stunning views across the harbour. Next to the sea and close to the city centre, the hotel is in idyllic Katajanokka with its SkyWheel Helsinki, Allas Sea Pool, Uspenski Cathedral and the Market Square: sight-seeing, shopping, restaurants and nightlife are all within easy reach. We are also right on the doorstep to the surrounding archipelago. Friendly, Scandinavian, functional, compact, easy to reach – Helsinki is all these and much more! Helsinki is the leading congress city in Finland and has first-class congress facilities and hotels. Each year Helsinki hosts about 300 international association meetings, attended by more than 40,000 participants. Helsinki lives and breathes throughout every season of the year, offering a wide range of experiences. 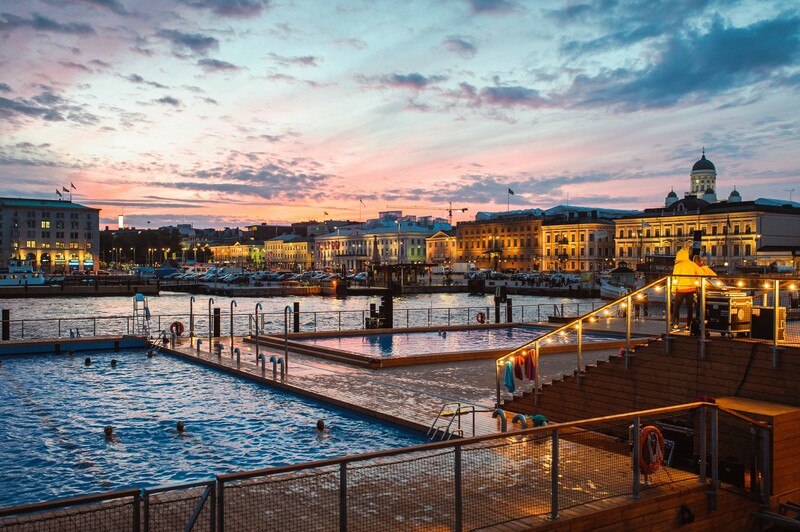 Helsinki is a city that offers functional design, unique gastronomy and maritime appeal. The capital of Finland is filled with lively events all year round, but the archipelago and green forests are only a stone’s throw away. Helsinki is an intriguing mix of modern and historic, a place where East meets West, creating contrasts that add colour to any meeting and social programme. • Oodi, Helsinki Central Librarygo. Helsinki is easy to reach from anywhere in the world. Around 180 international flights arrive at Helsinki Airport each day: there are direct connections to Helsinki from more than 140 destinations globally. All major European destinations are covered with direct flights, most within 2-3 hours. Helsinki also serves as a hub to Asia. Finnair has more than 80 direct flights a week via the most direct route from Helsinki to 14 destinations in Asia. Most of the hotels in Helsinki have been granted an eco-certificate: more than 75% of the hotel rooms in Helsinki are certified as environmentally friendly. Even the ones who don’t have an official eco certificate, do have an environmental plan regarding food, water, cleaning, laundry, waste management and energy consumption. Some hotels also offer carbon footprint calculators which measure the climate impacts of hotel stays and tell you what you can do to reduce it. The metropolitan area boasts about 16,000 rooms mostly within 1.5 kilometres of the city centre. Major venues like Finlandia Hall, Helsinki Congress Paasitorni, Scandic Marina Congress Center and Messukeskus Helsinki are all situated within the city centre, making it easy for congress visitors to enjoy the social programme, the city’s cultural offerings, sights and shopping. The Helsinki Convention Bureau provides a range of free-of-charge assistance to international congress organisers: bid books and site inspections: marketing materials for delegate boosting; a city hosted reception (by application): Helsinki material for congress delegates and a manned tourist information booth at the congress venue (for large congresses). Located between East and West, with snowy winters and warm, light-filled summers, Finland offers a number of fascinating contrasts. Finland’s unspoilt forests, as well as its thousands of islands and lakes, offer plenty of opportunities for visitors to enjoy beautiful natural surroundings. Finland consistently ranks among the top 20 congress destinations in the world. Finns are experienced event organisers, and all services are first class. A reputation as for security and safety, we also have the bonus of Finnish friendliness! We look forward to welcoming you. Finland is a great meeting place. As the local experts we can offer a large selection of high standard meeting venues in convention halls or small hideaway places. As the capital, Helsinki can offer you special pearls to organize your meetings, gala dinners or car launches in unique museums or ship building warehouses – but of course Finland also has an inspiring list of different places regions to extend your event and experience. Ever inner child wants to visit Lapland at least once in a lifetime! Finland has many seasons with different weather conditions which makes for very exciting and variable incentive travel options. Our knowledge in this area is outstanding: we create program ideas in unique ways and host all guests with the incentive touch. Visit our office in Rovaniemi to experience the magic of Lapland. We offer an amazing selection of incentive trips and activity programs, including husky rides, cross-country skiing, reindeer safaris and memorising views of the northern lights. Traditional Finnish food is infused with the natural flavours of Lappish cuisine. Treat yourself with some great food, a ride on a snowmobile, an overnight stay in a snow hotel or glass igloos and breathtaking views of Finnish nature. The liveliness and excitement of the towns and luxury ski resorts is just minutes away from the peace and quiet of the Lappish wilderness. Ken Nyström is Managing Director and one of the founders of the company in 1990. He is an IAPCO graduate and not only working in the PCO market but also a board member of the Finnish AFTA. He is the father of 2 children and enjoys Ice hockey and down-hill skiing during winter and fishing during summers: a great guy and a true Finn!